With the first BLAST Pro Series stop of the year ahead of us, we bring you a preview of what you can expect from the $250,000 tournament in São Paulo. As the format from previous BLAST events will be used in São Paulo, we will see six teams battle it out in a BO1 round-robin group stage, with the two best teams advancing to the BO3 grand final. Before the final match, the third-placed team will challenge one of the 4-6th placed teams to the $20,000 BLAST Pro Stand-off, which consists of five 1v1 duels with different weapons. 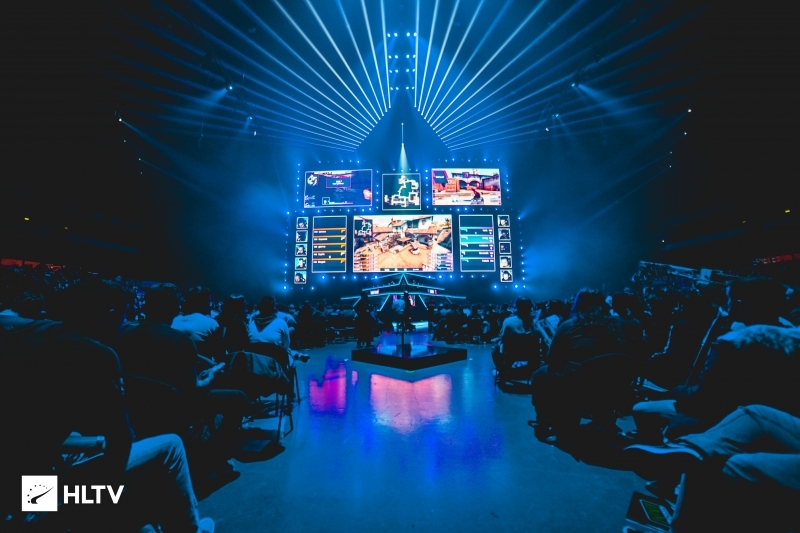 Six out of the top eight teams in the world will be present in São Paulo—Natus Vincere and Renegades being the only exceptions—, which should guarantee exciting matches and a cutthroat battle for the top two spots in the group. This time around, RFRSH did not release the map vetos well ahead of time, only doing so one day before the tournament starts. However, we do know that the tournament will be the first Big Event using the new economy patch, which changes the way the loss bonus works. March is going to be brought to an end very soon, and yet, most of the teams at the event have only played a couple of tournaments since 2019 started. BLAST Pro Series São Paulo is going to kick off the busy tournament season and give us a good look of how the top teams are looking after the Major. Nothing changed regarding Astralis with the turn of the year; the second place at iBUYPOWER Masters in January was just the smallest blip on the radar before the Danes won the far more prestigious IEM Katowice Major, losing just one map in the process. After bringing home their second Major trophy with this lineup, their third overall, Lukas "gla1ve" Rossander and co. took some time off, skipped WESG, and should be ready to deliver some high-level Counter-Strike once again in Brazil. Since adding Emil "Magisk" Reif, Astralis have won two BLAST Pro Series events—the ones in Istanbul and Lisbon—, failing to do so only in Copenhagen, where they finished third in the group stage with three wins and two BO1 losses, to Natus Vincere and NiP. That is exactly the biggest danger for Astralis in São Paulo: not making it to the BO3 final, in which the depth of their map pool can shine. Maps on which they have a 29 and 15 map win streaks, respectively Nuke and Inferno, have been banned out in the first phase of the tournament, and while the Danes are still going to be favored against their opposition on Overpass and Dust2, not having to face Astralis on their best maps will certainly give a Liquid or a MIBR a higher chance to upset. Will Astralis be showered by confetti once again? 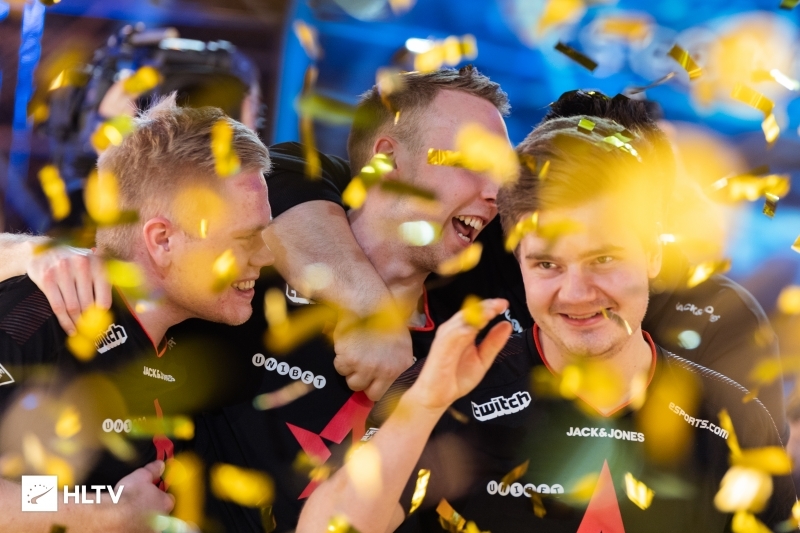 On a player basis, Andreas "Xyp9x" Højsleth has been marvelous for Astralis this year, showing off an impressive individual level, same as Magisk, who narrowly edged out the Clutch Minister in the race for the Major MVP award in Katowice. Nicolai "device" Reedtz remains Mr. consistent, gla1ve the highest-fragging IGL, and with Peter "dupreeh" Rasmussen expected to only play better after dealing with his personal tragedy at the Major, there is no reason to consider Astralis anything but the favorites for the title. Assembling a fully-North American roster produced results for Liquid in the short term, bringing them the long-desired victory over Astralis and the iBUYPOWER Masters trophy. 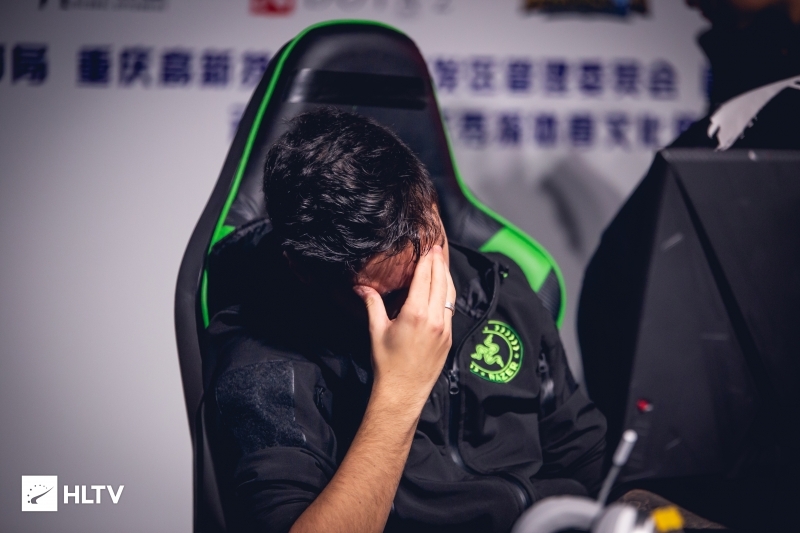 However, it ended up being a flash in the pan as, when many were writing them down for another title match against the Danish giants at the Major, they were unable to get further than the quarter-finals, losing to underdogs ENCE 2-0. 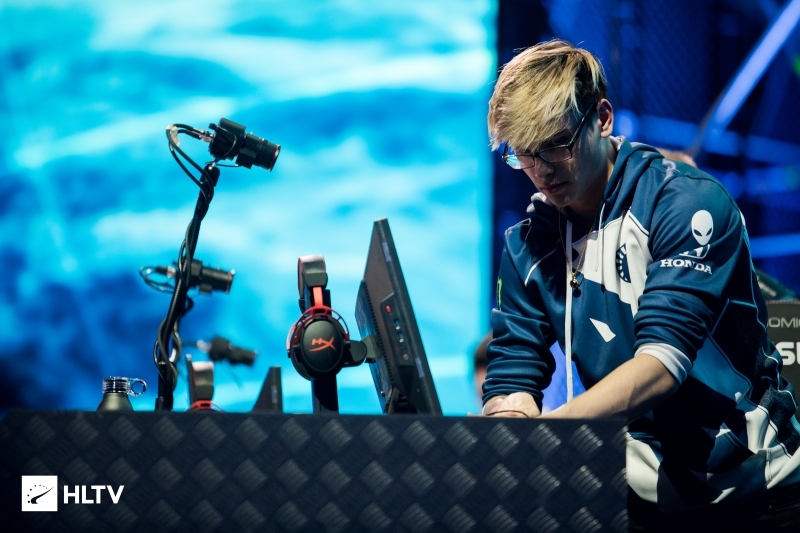 The squad's decision to skip the media hour, a day after the defeat, implies that the loss didn't sit right with Liquid, with perhaps the fashion in which they lost to the Finns, "choking" a 15-9 lead on the CT side of Inferno, being a bitter pill to swallow. Part of the issue seems to be the role changes; with Russel "Twistzz" Van Dulken taking most of Epitacio "TACO" de Melo's positions to accommodate for Jake "Stewie2K" Yip, things are not working perfectly yet, and having Eric "adreN" Hoag replace Wilton "zews" Prado as coach perhaps also played a part in the lack of stability they showed in Katowice. Looking at the numbers, opening kills were an issue for Liquid's new roster as they got one in only 45.7% of the rounds played on LAN in the last three months, which makes them one of the rare top teams who gets the first pick in fewer than half of the rounds they play. Liquid have had time to iron out the kinks since the Major, but didn't impress in their only post-Katowice outing, losing online to Rogue in the first ECS Season 7 tournament. How much stock we can put into online games is questionable, and that result will be quickly forgotten if Nick "nitr0" Cannella and co. live up to their world ranking and play impressive Counter-Strike at BLAST. But if they aren't able to exact revenge on ENCE and, at least, be in contention for a place in the grand final, we will perhaps have to reconsider the status this squad holds, which was inherited from the highly consistent 2018 roster. Receiving an invite to BLAST São Paulo after their unbelievable IEM Katowice Major run, ENCE have an extremely tough task ahead, facing the world's elite in Brazil. On paper, they have a decent chance at the tournament as they are the third-highest ranked team in it and just beat the second-highest ranked one, Liquid, in Poland. But this time around, ENCE are no longer unknown and overlooked; instead, the demos of their matches will have been looked over and analyzed to the smallest details as people have tried to find out how the Finns managed to punch above their weight so successfully. 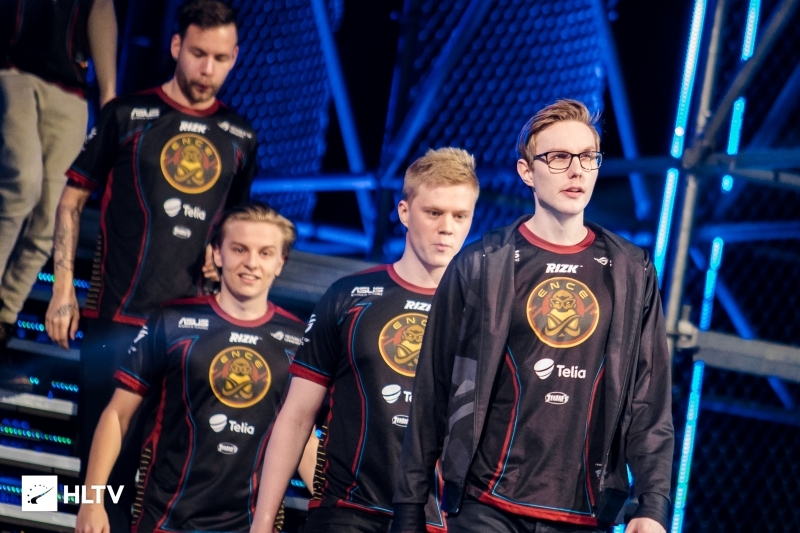 It is also very unlikely that Sami "xseveN" Laasanen—ENCE's worst-rated player since the team's inception but the hero of the Major playoffs—will continue with his great form, though the likes of Jere "sergej" Salo and Jani "Aerial" Jussila should be able to elevate their game in comparison to what they showed on the Spodek stage. ENCE pulled out of the $500,000 WESG World Finals after their Major success and caught up on their ESEA MDL matches, securing a place in the upcoming season—which, unlike the current one, offers promotion to ESL Pro League—, but suffered a bunch of defeats along the way. While losses to forZe, Uruguay, Izako Boars, Sprout, and Vitality might not be important in the grand scheme of things, it is fair to assume that ENCE's motivation level isn't at the highest level at the moment, which is common after a team finds success at a Major. A big, loud crowd didn't shake the stout Finns in Katowice, so we can expect Aleksi "allu" Jalli and co. to keep their cool when the packed Ibirapuera starts going wild. But with everything going that they have to fight against, making the grand final at a tournament with Astralis, Liquid, and MIBR also in contention seems highly unlikely. Leading by example hasn't been working for Nikola "NiKo" Kovač. While the Bosnian star has been in great form despite taking up the in-game leader role, the remainder of the squad looks like little more than cheap copies of the superstars they used to be, and the addition of coach Janko "YNk" Paunović, hasn't solved that issue, at least not yet. The fact that they still have Dauren "AdreN" Kystaubayev, who we are led to believe isn't a permanent option for FaZe, surely doesn't help the cause, nor does the career-low form of Olof "olofmeister" Kajbjer, usually the reliable rock of the team. Averaging 0.25 flash assists and 21.2 utility damage per round, FaZe have become one of the better teams at utility usage, which we could attribute to YNk and a shift towards a more fundamentally sound style of play, but in the process, the European mixture have lost part of what made them great: winning disadvantageous rounds used to be something at which they stood out, but they have been just average at it recently (27.2% of 4v5 rounds won), and they have shown sub-par trading (17.1% of traded deaths), showing a lack of teamplay. FaZe still need to find their identity with the former iNation duo at the helm, and get the rest of the players to buy into it. 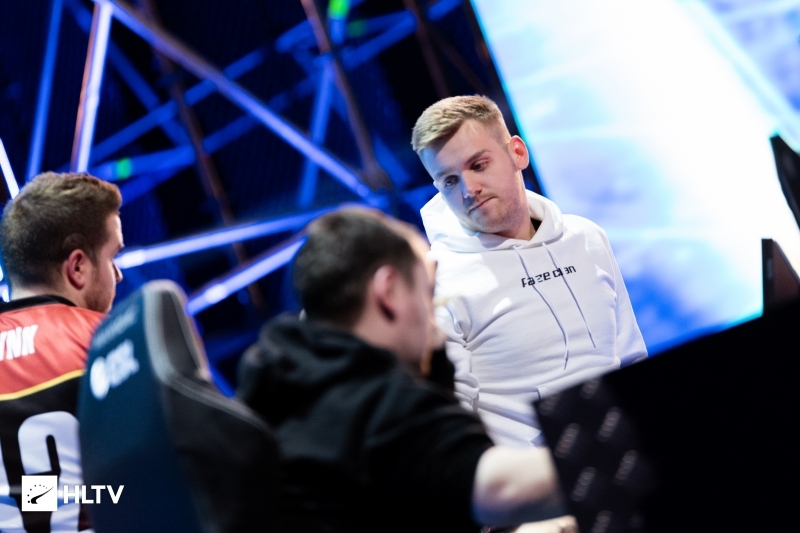 Going into the Major, Ladislav "GuardiaN" Kovács praised the approach to the bootcamp, and their 5-8th finish after a loss to Natus Vincere wasn't really disappointing, but their recent online results have not been convincing. Even with a hard-carrying NiKo, FaZe only edged out Virtus.pro before losing to NiP in the first week of ECS S7. If all FaZe are going to be about in Brazil is NiKo putting the team on his back and GuardiaN providing a bit of help, there is little to be excited about the team this weekend. Reuniting old rosters doesn't often lead to success, but MIBR's decision to bring back João "felps" Vasconcellos and TACO to assemble the 2017 SK lineup looked the right one at the IEM Katowice Major, where the Brazilians reached the semi-finals. The loss to Astralis was also an exciting match, with Gabriel "FalleN" Toledo and co. looking solid on their map pick, Overpass, but not solid enough to force a decider. 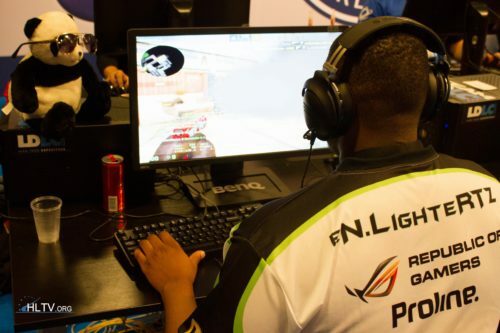 Empowered either by TACO or the return to Portuguese communication, Marcelo "coldzera" David was in prime form, with Fernando "fer" Alvarenga also stepping up a lot compared to his level in the Brazilian-American version of the roster. MIBR were the only team from the lot at BLAST that attended WESG World Finals last week, and they looked set for a big payday as the field was not up to the standards for a $500,000 tournament. Sadly for FalleN and co., they stumbled at the first serious obstacle, losing 2-1 to Windigo in the quarter-finals, and just like last year, left WESG without a big cash prize. It isn't that crazy that the Bulgarians' no-respect style of play caught MIBR off-guard, considering they play in different tiers of Counter-Strike and that the Brazilians probably didn't take the tournament as seriously as they do some others. Still, placing 5-8th in China—sharing the spot with OpTic, Absolute, and a mixed Valiance roster—does take some of the wind out of their sails. The home crowd, which will surely be excited to see MIBR's fully-Brazilian roster in action, could make up for that, and if they make it to the grand final, they could lift a Big Event trophy in their home country for the first time, even if they come across Astralis, given their map pool and the history of close matches against the Danes. History has taught us that honeymoon phases and NiP can be a dangerous combination. Back in 2016, NiP won StarSeries i-League S2, their first event with Mikail "Maikelele" Bill as a stand-in, and they took the trophy at IEM Oakland after Jacob "pyth" Mourujärvi had returned from his injury-forced hiatus. Could they continue the streak with another AWPer returning to the fold, this time William "draken" Sundin? 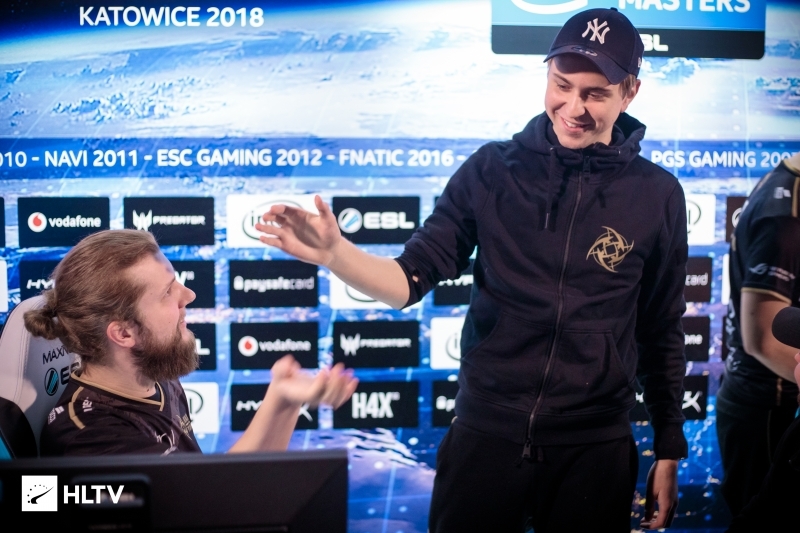 One of the main driving forces behind NiP recently has been Patrik "f0rest" Lindberg, who shows no signs of slowing down and is famously the player who gets invigorated when a new member is introduced to the roster. Fredrik "REZ" Sterner has been the other player carrying the load for the Ninjas, and reuniting with his former Epsilon teammate and being able to focus on just rifling surely are not going to harm his form. As inconsistent as draken can be, having him standing in for Dennis "dennis" Edman, who struggled to find his form throughout 2018 and in the first three months of the new year, should not only give NiP higher peaks but also bring up the base level due to the roles being sorted out. Opening kills have been a struggle for NiP in recent times: they have been getting one in only 36.7% of the rounds on the T side, which could be helped with the AWP of draken coming into play. After stints in both NiP and fnatic, the 23-year-old has a lot to prove in what could be his last shot at the top level in Sweden. In the end, NiP are big outsiders at BLAST, but a short tournament like this, which takes place over just two days, with one BO3 deciding the winner in the end, is the best chance for them to get their first Big Event win since IEM Oakland in November 2017.
mibr #6 to nip #8 ?? Xyp9x having such a high rating is absurd honestly. kkkkkkkkkkkkkkkkkk bro, when u will realize that ence is a meme team ? Can someone link this year's Stand-Off 1v1 map? Seems interesting. Thanks.